body parts in plaster – lovely. Not in my family – we save the umbilical cord. Yep- I’ve got cord all the way back to my great grandmother Angelique. I do not, however, have them nicely mounted on a wall plaque for all to admire. 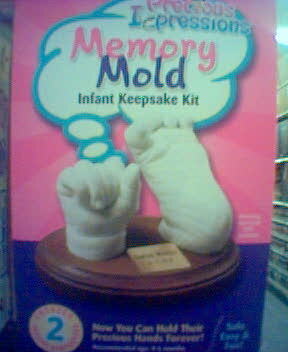 I wonder how they keep the chopped-off little baby body part from rotting under the plaster finish.